The different types of metal powder used for selective laser melting (SLM) process would cause distinct corrosion behavior due to the uniformity of the obtained microstructure. 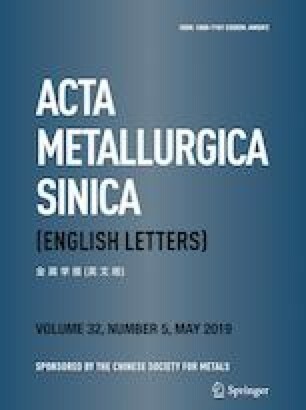 The SLM-produced Ti–5Cu alloy using atomized Ti–5Cu metal powder (SLMed Ti–5Cu) in this work reveals a relatively uniform microstructure with overwhelming acicular α/α′ phase and shows great advantages on corrosion resistance compared with the SLM-produced Ti–5Cu alloy using the mixture powder (SLMed-M Ti–5Cu). The effect of the micro-galvanic cells decreases due to the undetectable Ti2Cu phase in the microstructure of the SLMed Ti–5Cu. An apparent passivation behavior was observed for SLMed Ti–5Cu instead of severe pitting phenomenon for the SLMed-M Ti–5Cu. The charge transfer resistance of SLMed Ti–5Cu in this work is 10.09 ± 2.63 MΩ cm2, which is significantly higher than that of SLMed-M Ti–5Cu (4.76 MΩ cm2). The above result indicates the atomized Ti–5Cu powder plays an important role in the formation of the uniform microstructure of SLMed product, thereby enhancing its corrosion resistance in Hank’s solution at 37 °C. This work was supported partially by Key Research Program of Frontier Sciences, CAS (No. QYZDJ-SSW-JSC031-02), National Natural Science Foundation of China (No. 51871220), and Department of Education of Liaoning Province project (No. 201734158).